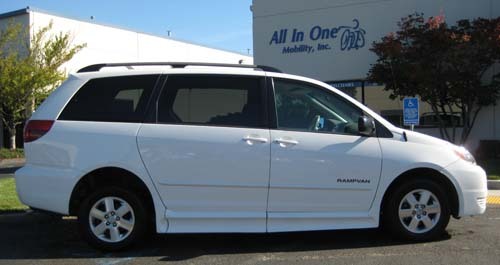 05 Toyota Sienna LE w\ IMS Conv. 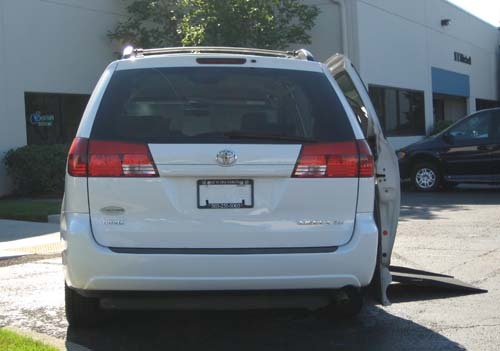 2005 Toyota Sienna LE with IMS Rampvan Conversion. 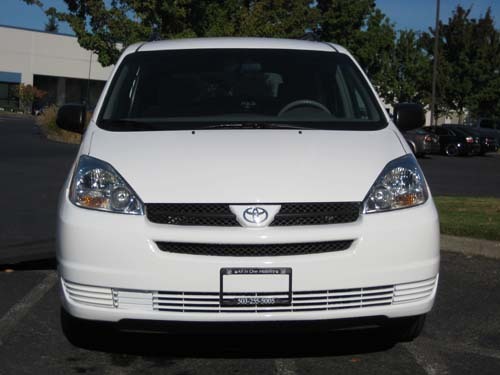 White with tan cloth interior, 5TDZA23C55S319257, Miles: 131,713, 3.3L V6 with 4-speed auto trans, 16” alloy wheels, ABS, power sliding passenger side door, power driver’s seat, dual-zone climate control, AM/FM/CD, overhead console, tilt and telescope steering wheel with audio controls. 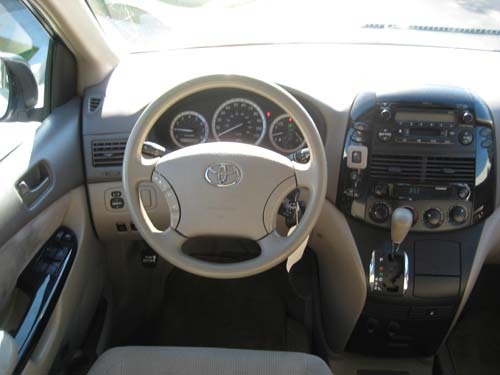 *New: tires, rubber floor, oil/filter, wiper blades, brake pads and shoes, water pump, timing belt, spark plugs. 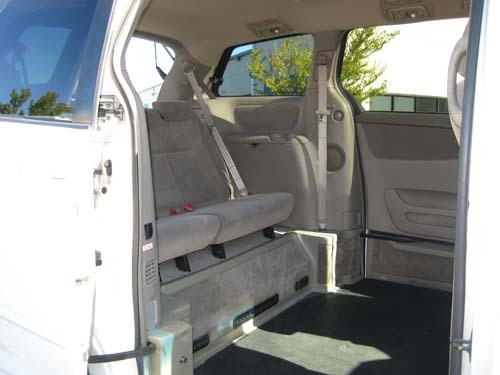 IMS Rampvan Conversion: 10” lowered floor, automatic fold-out ramp, automatic sliding door, kneeling rear suspension, keychain remote control, interior control switches, wheelchair/occupant securement system, easy-out removable driver/passenger seat, custom ground effects.